As previously stated, Nea (age 7) has limb apraxia as well as apraxia of speech. She has worked very hard on her handwriting, which is pretty good now, although still larger than it should be. Work in progress, like much of her life. But she can zip up her jacket. We have no intention of teaching her how to tie her shoelaces any time soon. Hey, if Daniel Radcliff is still struggling with it at his advanced age, why tortune her? 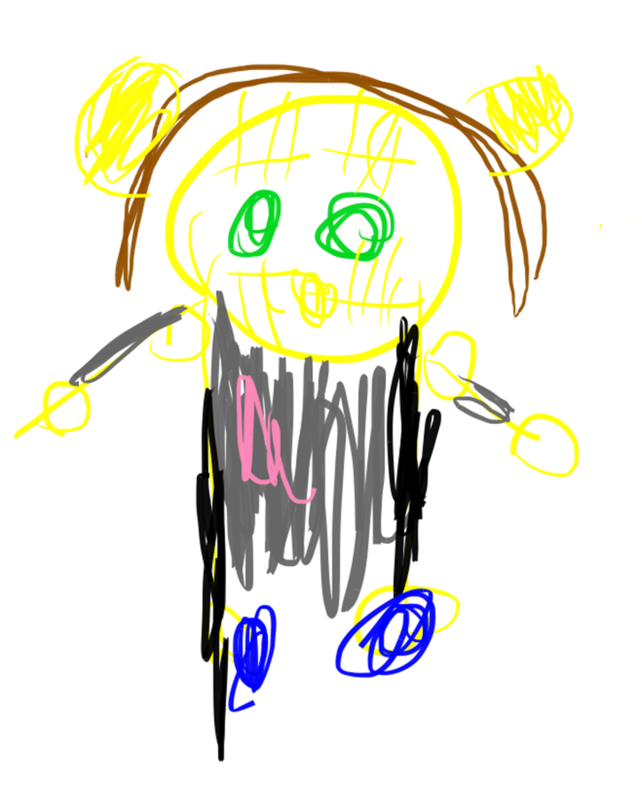 Anyway, here's a picture she drew on her iPad yesterday. It's me. Her people have had a robotesque look for quite awhile. I like them. Check out my biceps! Whooo! I do wonder whether I should have my ears pinned back, though.